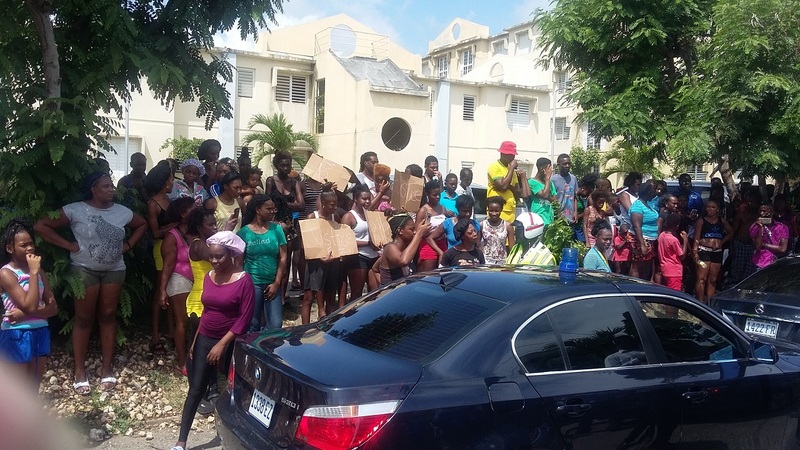 Scores of Arnett Gardens residents took to the streets Tuesday to protest against reports that the perpetrators in last weekend’s gun attack that killed a 17-year-old girl and injured her sister were from the South St Andrew community. The residents, several of them bearing placards, gathered at the front of the home where the brutal attack took place, claiming that the allegations have cast a bad light on their community and made men from the area unnecessary targets. 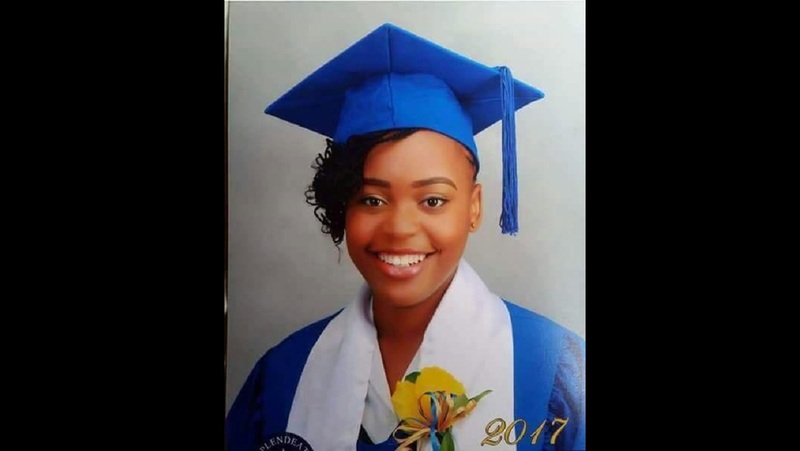 Micholle Moltan, 17, was shot and killed, and her 12-year-old sister injured, in the attack that took place in the wee hours of Saturday morning at their home in the ‘Zimbabwe’ community of Arnett Gardens. 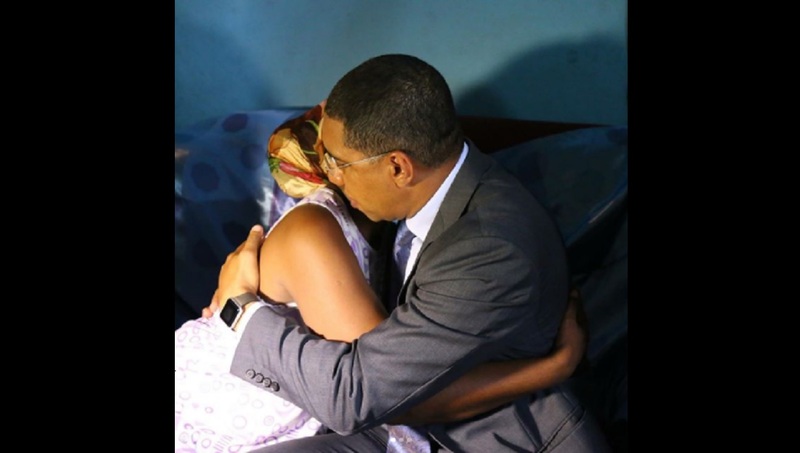 Prime Minister Andrew Holness hugs the mother of the victims during a visit to their home on Tuesday. The protest on Tuesday went on at the same time as political representatives from both the ruling Jamaica Labour Party, including Prime Minister Andrew Holness, and the Opposition People’s National Party (PNP), including the party’s representative in the constituency Mark Golding, visited the family of the victims. Holness and Golding consoled the relatives of the victims and condemned the attack, which they described as disturbing. 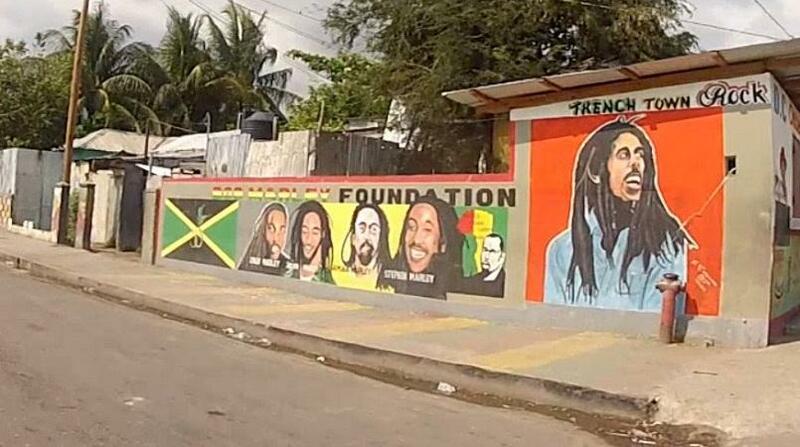 “This incident represents one of the vilest attacks on our young women,” Holness said. “There can be no divide on crime in the country. We all have to come together and draw a line in the sand and those with the criminals should recognize the criminals are no respecters of lives,” the prime minister added. 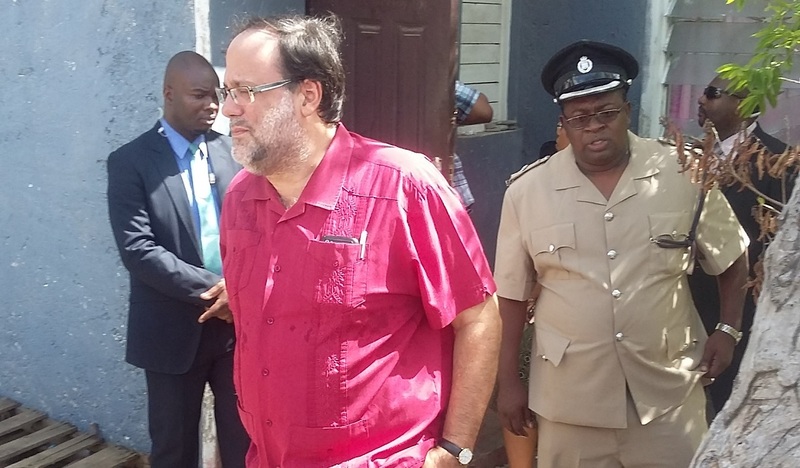 Mark Golding, the PNP representative in the South St Andrew constituency where the incident took place, during his visit at the home of the victims. While the political representatives lashed out against the attack, residents were voicing their displeasure over reports that the girls were attacked by community members. The police are reportedly following intelligence that suggests that the now deceased child was targeted because of having spurned sexual advances from men who reside in 'Zimbabwe'. “We want justice. Is lie dem telling about our community,” one woman, who identified herself only as Sandra, told Loop News. Another woman, who gave her name as Sheryl Brown, said there was more to the case than meets the eye. Meanwhile, Shawn White, another resident, claimed that men from the community have come under pressure from law enforcement officials since reports of the incident. “We want to get it out there that this is not true, the children were not attacked by none of the men from the community,” White said. Some of the residents directed their anger, over the reports, at the mother of the deceased. And, following the visit from the political representatives, the mother had to be escorted from the home by members of the security forces. Police in the meantime say they have stepped up their investigation into the matter and were doing everything in their power to bring those responsible for the attack to justice.